Lt. Gen. Joseph Osterman spent his first full day Tuesday as commander of the 1st Marine Expeditionary Force at Camp Pendleton, replacing Lt. Gen. Lewis Craparotta. Craparotta took command of the force in 2016 after serving as commanding general of the Marine Air Ground Task Force Training Command and Marine Corps Air Ground Combat Center in Twentynine Palms, according to the Marines. A change-of-command ceremony was held at Pendleton Monday. Craparotta will assume command of Marine Forces Pacific in Hawaii. Osterman, who has spent 35 years with the Marines, served as the commanding general of the Marine Corps Recruiting Command from 2011-2012, according to the Marines. He also led the 1st Battalion, 3rd Marines in the early phases of Operation Enduring Freedom in 2002. 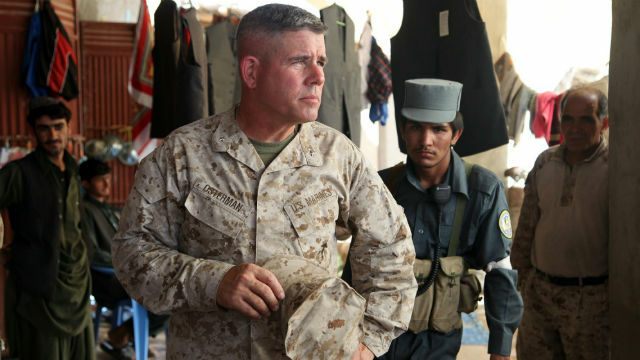 Osterman returned to Afghanistan in 2010 as the commanding general of the 1st Marine Division and again in 2012, where he served as deputy chief of staff of joint operations as part of the International Security Assistance Force, according to the Marines. Osterman most recently served in Tampa as deputy commander in the United States Special Operations Command. The 1st Marine Corps Expeditionary Force, consisting of around 50,000 Marines, is the largest of the three active Marine Expeditionary Forces and it is Camp Pendleton’s largest tenant.